Expectations for aging have changed. As Americans live longer, clients see the prospect of decades beyond their 65th year. And as the baby boomers enter their “senior” years, they are redefining aging, as they have redefined every previous stage of life they have traveled through. So what does it look like to age successfully? Here are just a few of many models for thinking about how clients can approach graceful, meaningful aging – for themselves, their partners and their aging parents. We know from research that beyond maintaining physical health and cognitive function, another key component to maintaining a high quality of life is social and community engagement. This isn’t just casual “social” interactions – it also includes making meaningful contributions to individuals and/or to one’s community. In other words, have an increased sense of purpose. To this end, programs exist to help seniors contribute meaningfully to a social need, while also improving their physical, cognitive and social well-being. These programs include Foster Grandparents, Senior Companions, and RSVP (Retired and Senior Volunteer Program). One easy way to tap into these is through AARP – their Experience Corps program, which can link seniors to volunteer opportunities in their community. Help access healthcare – Facilitating transportation to their health appointments, encouraging them to take part in all preventive health services, assisting with insurance questions, including selecting a prescription drug plan that is beneficial for them. Manage prescription drug administration – Assist our seniors with their medication administration by creating ways for them to be reminded of dosing, avoiding missed dosages, and regularly reviewing medication list to help prevent interactions. 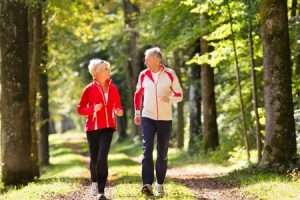 Encourage and join physical activity endeavors – Go with them on walks; set up opportunities for movement, including tai chi, yoga, dancing, exercising, water aerobics or other fun they like; and remind them about the benefits of movement to their physical and mental health. We can also advocate in our cities for “Build Environment Intervention Approaches,” which are approaches cities can create to increase physical activity or modify environmental characteristics in a community to make physical activity easier or more accessible. Support their rights – Help our seniors learn about their rights, including freedom from abuse, financial scams, and end of life decisions. Do they need an elder law attorney to help them execute personal documents including a will or a healthcare proxy or do they need a financial planner to help them budget for their future? Connect them to technology – Help them use the latest technology to stay connected with family members and friends, stay safe in their own home, and receive telehealth benefits to improve their healthcare. Reinforce healthy eating habits – It is never too late to make changes in the foods we eat to provide our bodies with the nutrition they need, especially our senior loved ones. Avoiding weak bones, muscle loss, and nutritional deficiency as we age will take some attention to be sure our seniors include foods that will nourish them. Caregivers can help seniors navigate the multitude of food choices. Introduce volunteer opportunities – Seniors want to give back to their communities and find a meaningful purpose to fill their days. Caregivers can help them find ways for them to give their gifts and experience back. Help them express themselves – Would your senior enjoy signing, painting, writing or storytelling? Provide them with the supplies they need, such as paints, paper, journals, recording devices and an audience so that they can engage through expression. If you have other models for considering healthy aging, please share them with me.